I have opened and cleared the current 1 of 5 and 2 of 5 levels that should give a reward, but when I click the reward it says "Unlock level ****". The levels are unlocked!!!!! Help! Hi @aelliott21, I'm not sure exactly what you are referring to? Is it the gift boxes? Those haven't been working in quite a while and the studio is aware of it. It's just not a top priority at the moment. It's the gift boxes. When you click them it calls it "Reward 1 of 5" etc, hence why I referred to them as rewards. It's good to know it's effecting everyone and not a problem for just me. Why is it not a priority to fix them? Hi @aelliott21, those gift boxes haven't worked in months! Sometimes they just don't open up, other times they just disappear and other times the box opens and it's empty. Game will NOT let me get my gifts from friends. Game will NOT even let me click on the envelope to see the gifts from friends. I know my friends are sending me new games but I canNOT get them. Please fix this. 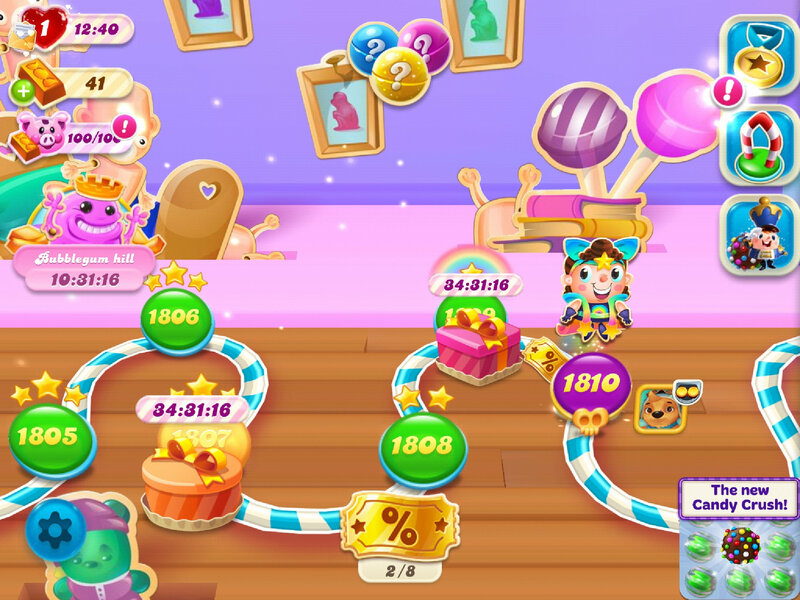 Also there was a glitch reported on the sending/receiving of lives for Candy Crush Saga but it is affecting other King games and also non-King games. So even if your friends are sending you lives you might not be able to get them until the glitch is fixed. I've never received a bonus or booster in the two years playing this game.What's up? Play on my laptop from the King website. Hi @AskTell, the challenges that are offered are usually on mobile devices and also Windows 10. Maybe it's time to switch away from King.com. Hey guys, the studio is looking for feedback on your experience when you run out of moves, so can you all please head on over to this link and if you find that it is affecting your game, can you please respond?